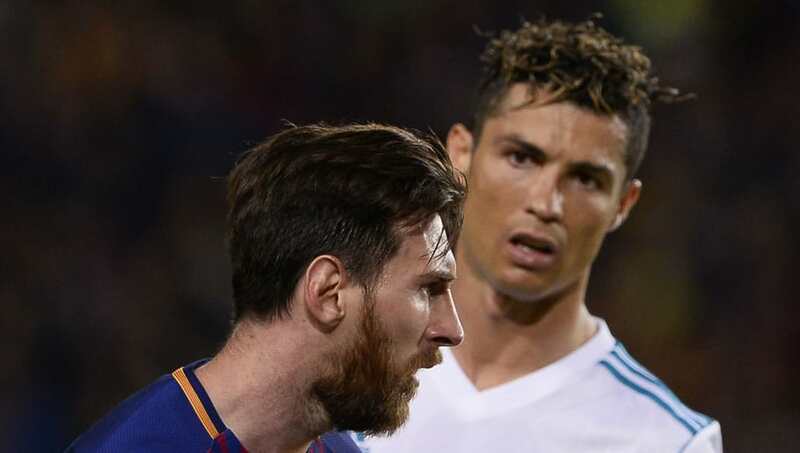 ​Cristiano Ronaldo and Lionel Messi are arguably two of the greatest footballers in the history of the sport, but there is no doubt that they are the best in UEFA Champions League history. Ronaldo opened his account for new club ​Juventus ironically when he scored against former employers ​Manchester United in their encounter on Wednesday to take his tally to 121 in the competition. Messi on the other hand has 105 goals to his name, though took lesser time to reach the mark as compared to his great rival. The Argentinian needed only 123 games to reach the century mark while Ronaldo took 144 games to bring up his 100 goals. Here, we take a look at some interesting numbers from the duo in the UCL. - Barcelona have lost only three games in the Champions League when Messi has scored. - 2017/18 was the seventh season running that Ronaldo scored ten goals or more in the UEFA Champions League. - Ronaldo has netted a brace or more on 34 different occasions. - Ronaldo did not score until his 30th game in the competition. - Ronaldo is the only player to score in three UEFA Champions League finals. - Ronaldo is the only player to score in 11 consecutive appearances in the competition. - Ronaldo has scored ten goals against current club Juventus, which is the most he has netted against a single opponent in the competition. Note: Stats courtesy of ​UEFA.com.